Has been in business a relatively long time. Screens and trains every employee. Has loyal and long-term employees who speak English. 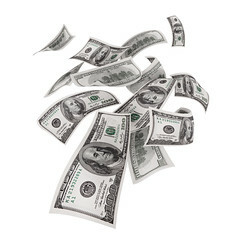 Complies with federal, state and local labor and tax laws and carries sufficient insurance. Brings its own cleaning equipment and supplies. Charges reasonable, as opposed to cheap prices. Reasonable prices are necessary in order to attract and keep quality employees. Uses non-toxic, safe, but effective eco-friendly cleaning products. Makes customer satisfaction a priority. Engaging a reliable, well-managed cleaning service will truly enhance your life. Choose the right one and you’ll never regret it. These people know their stuff. They perform their work well. timely, great job, live up to the standards and surpass. We found Sponge & Sparkle on Kudzu.com while looking for a replacement for our previous and unreliable cleaners. I liked dealing with a privately owned company and found their service prompt, affordable and very satisfactory. Their web site provided a $10 coupon which was nice too. They were very thorough and I appreciated dealing directly with the owner and their detailed follow up on their visit. We will be using them again. Sponge and sparkle is the best cleaning service in Atlanta. i’ve tried others and none are as professional or clean. Battling cancer is tough. When a woman is sick and can’t take care of her home the way she would like to, it adds to her stress. 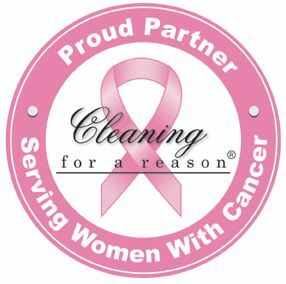 This is why we are privileged to be a member of the Cleaning for a Reason foundation, a national organization which puts women undergoing cancer treatment in touch with member cleaning companies that want to donate their services. Sponge & Sparkle has been part of the Cleaning for a Reason network since 2007. The Cleaning for a Reason foundation has 1,100 companies in its network throughout the United States. In order to be approved for the network, a professional residential maid service must be insured or bonded and perform background checks on their employees. These professional cleaning companies have provided more than 15,000 cleanings to cancer patients, valued at more than $4,000,000. Once a patient calls the Cleaning for a Reason foundation, they will verify her eligibility and put her in touch with a professional house cleaning service provider in her area. The number of cleanings varies by provider; we typically give each recipient 4 cleanings of 2 hours each with 2 people. If you know of a woman fighting cancer who could benefit, please tell her about the C4R website. We love to clean and we want to help. Hiring an Atlanta Cleaning Service – What Price is Right? There are several hundred cleaning services in the Metro-Atlanta area, all claiming to be the best. As Atlanta’s oldest independently owned home cleaning service, I know our rates are not the cheapest. Do your own research and you’ll find that we fall somewhere in the middle of the price range. 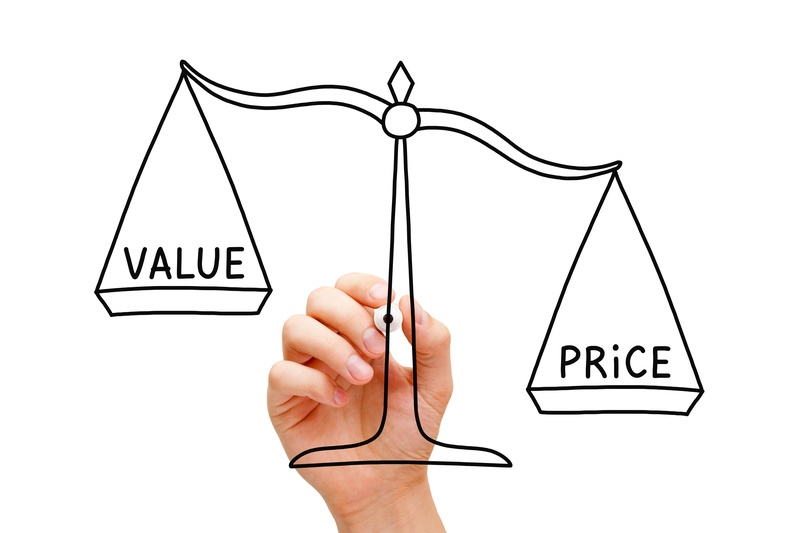 There are many good reasons to consider the quality of the service you contract for, rather than just price. You are, after all, allowing “strangers” into your home – where you and your family sleep, and where you keep your valuables. Sponge & Sparkle is a well-respected company with well trained, loyal employees. While the industry average turnover is 3 to 4 months, our employees stay with us for 5 years. Quite a few of our employees have been with us for over 10 years. We carry liability and workers’ compensation insurance and pay our fair share of required taxes and fees. We thoroughly screen our employees­—people you are allowing into your private space. They must pass our background checks and drug tests, and complete our comprehensive training program. After they successfully complete our training program, we compensate them fairly and provide benefits. Our pricing structure enables us to function as a successful, stable business with a loyal customer base. This way, if one of our employees has an injury in your home, breaks a valuable, or files for unemployment, we’re able to handle it. Interestingly enough, the people who never complain about our prices are our current customers. As with most things in life, you get what you pay for. Need help? Find it Here. Sponge and Sparkle are doing a great job and helping me live in a much cleaner home. I think the rate is reasonable and I leave a 20% tip. A few cleaners came out and did not do a great job; however, the manager’s gave me a free cleaning and were nice about it. They sent someone who did a very good job so now I have a sweet, friendly cleaner that is always scheduled with me now. I have the place totally neat so they can clean. I like coming home to a freshly made bed and garbage taken out. They’ve been doing my house for several years. The teams change up, but they are all provide good service. They are always on time, never miss an appointment, and are friendly. I could probably have an individual (instead of a commercial group) for less, but I feel like this is so well-run and reliable that it is worth it. Also, I get the sense that they treat their employees well, which matters a lot to me. We have used Sparkle many times over the last several years and they always exceed our expectations. Great customer service and very reasonable prices. This article was written by our colleague, Yusuf Mehmetoglu, of Maid Bright in the Reston, VA area. This article was published last year in Angie’s List Magazine, and is published with permission. When you hire a professional company to clean your home, you not only save the time and hassle of cleaning your home, but will rest assured knowing that the professionals will take care of your home. In order to get the most out of your cleaning service, there is a small amount of preparation you can make before their arrival. Most professional cleaning services recommend consumers try to be home if it is their initial cleaning visit with the service provider. This would enable them to check the cleaning job and provide any feedback for future cleanings. You can always request to get the same cleaning crew at your convenience. Your cleaning service may be able to send the same crew if you are willing to switch days or rotation. 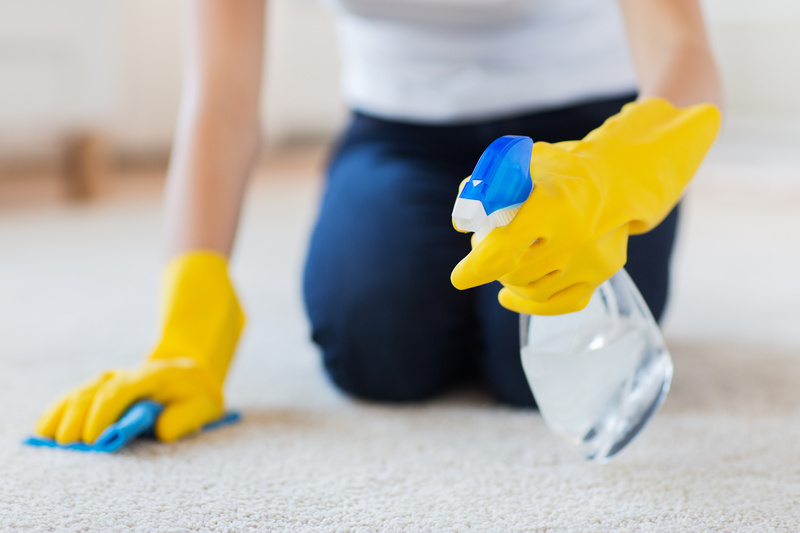 You may need to be prepared to have a different cleaning crew if you have requested the cleaning on an odd schedule such as every three weeks etc. Always remember to update your contact information with your service provider if you are using a cleaning service on a regular basis. They will keep you informed with the confirmations. You may also get a follow-up call or e-mail to ensure your expectations have been met. Cleaning companies would like to focus on your cleaning, it will be very helpful if you put away your personal belongings and de-clutter any surfaces the day before the cleaning to get the best possible result from your service. They may not be able to clean partially or entire areas due to liability issues. Your cleaning company will review any instructions given from you on the day of the service; therefore, you can always send an e-mail or call ahead of time if you have any last minute instructions. Remember to provide any feedback as needed to your service provider so that they can keep track of their crews’ performance. Some cleaning companies may give incentives to their employees to keep them motivated. You can always ask your service provider to use your own cleaning equipment or supplies if you have any preferences to avoid any inconveniences. Some households prefers environmentally safe cleaning while other home owners prefer old fashioned cleaning supplies. According to the American Cancer Society, there will be 805,000 new cases of cancer diagnosed in women in 2014. For some, hiring a maid service seems like a pretty straightforward task – make a few calls and hire the one with the cheapest bid. Making the wrong decision, however, can be costly. The wrong decision can land you in trouble with trial attorneys, or even worse, the Internal Revenue Service. Our latest video has a few tips to help you select the right house cleaning service. We are Atlanta’s oldest and most experienced maid service, and I know that we aren’t the cheapest company, but neither are we the most expensive. We are in the middle range with our rates, compared to other similar companies. (6) has no unemployment insurance. Are You Hiring a Cleaning Company or Gaining an Employee? In the eyes of the IRS when you use an individual,YOU become their employer. Be ready – if they have an injury in your home, or they break a valuable, or they file for unemployment when you fire them, or they file for social security benefits. Y0u will most probably wish you had paid more for a reputable service. Professional maid services are priced higher for a reason. They pay to perform background tests, drug testing, for ongoing training, for proper insurance and taxes, high-end professional products – all for your benefit and protection, and for their staff to have a good and fair wage. After ALL of those costs, there isn’t a huge profit margin left . When compliant businesses are sideswiped by persons unfairly undercutting their prices, it just hurts not only legitimate businesses trying to do their best and fulfill all their legal requirements, but it hurts the country too. Non-compliant competitors do not contribute to the economy by providing jobs or paying their fair share of taxes. At least compare apples with apples, as they say. Interestingly enough, one group of people who never complain about our prices are our current customers. Sponge and Sparkle is the best cleaning service in Atlanta. I’ve tried others and none are as professional or clean. Full review. Having just got back from the Association of Residential Cleaning Services 2011 conference in Las Vegas, I have so many new ideas and plans to implement. Being a member of this organization helps any maid service become better, stronger and more professional. Even though we have been in business for 30 years, I am always learning something new. OSHA guidelines and government regulations change, cleaning products are perfected, new technologies need to be learned. Education is an absolute must in this business just to keep up with all the new developments in running our businesses and in dealing with our clients and employees. One of our speakers was Tom Peters, the author of the classic, In Search of Excellence. He has a new book out which I am looking forward to reading titled Retail Superstars. One of the things that resonated with me was when he said that for your staff to give good service, you have to give good service to your staff. Since our company creed is the Golden Rule , we have always tried to be cognizant of treating everyone kindly, fairly, and respectfully. We have had some success with this, I believe, since employee turnover has not ever been a big problem for our company. In an industry where the average turnover is 300%, this is no small feat! Looking forward to our next conference in Orlando! 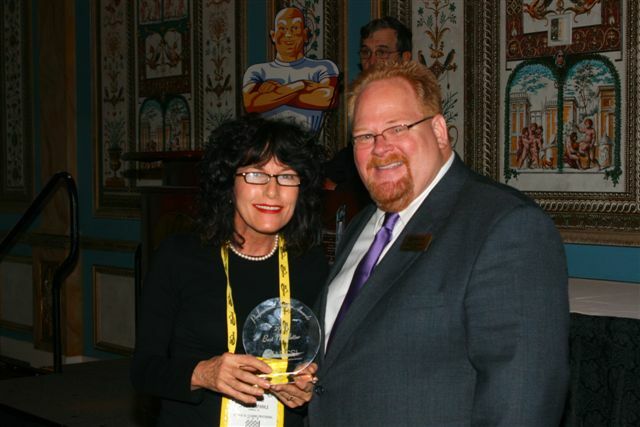 Oh – and our newsletter was awarded the 2011 Professional Image Award , as a bonus!